Talk about a glow up! 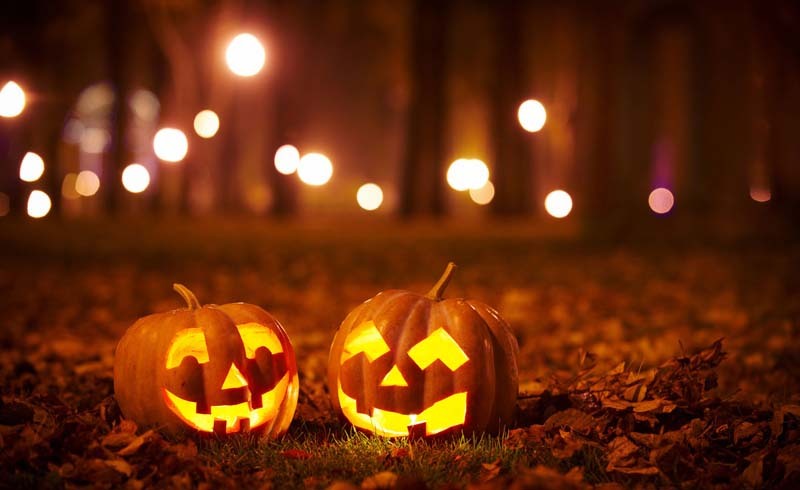 Whether you're throwing a Halloween party or not, it's always fun to make your home a little extra festive come the spookiest day of the year. Plus, it's always fun to welcome trick-or-treaters with a fun, decorative display. 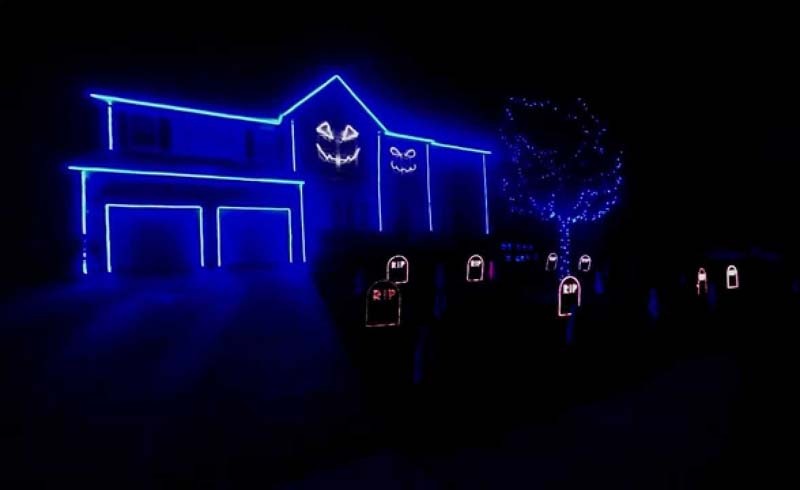 This year, you can totally make your house the most festive and stylish one on the block, thanks to a little help from these awesome Halloween lights. From shimmery skull string lights to big purple projection shows (and of course, some bats, ghosts, and jack-o-lanterns in between! 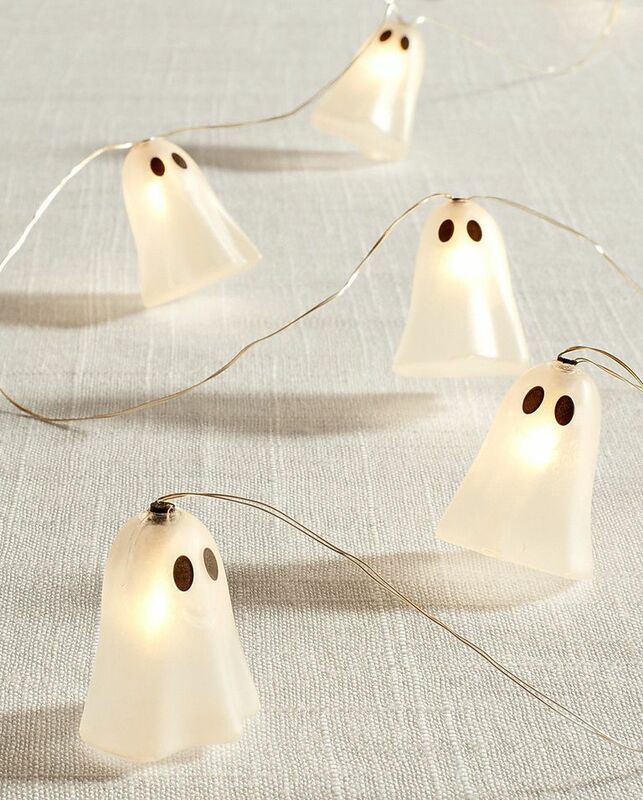 ), these lights are bound to give you some cool Halloween decorating ideas. 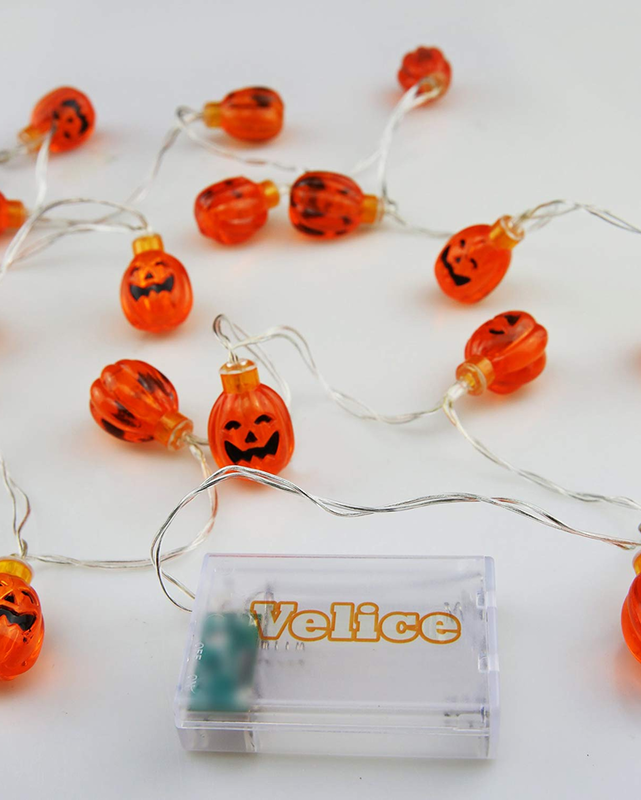 Who needs to carve a pumpkin when you can just hang these jack-o-lantern string lights? 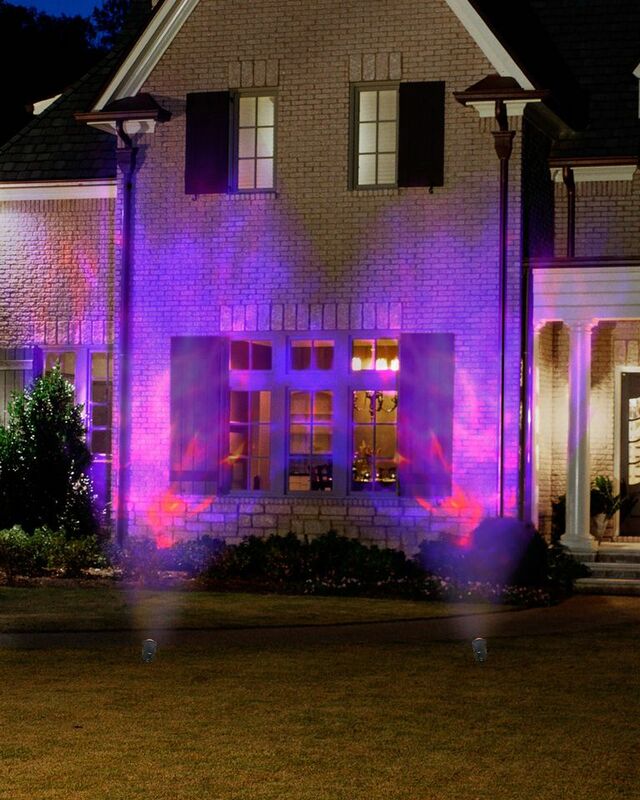 Go full-on light show with these purple and orange projector lights. 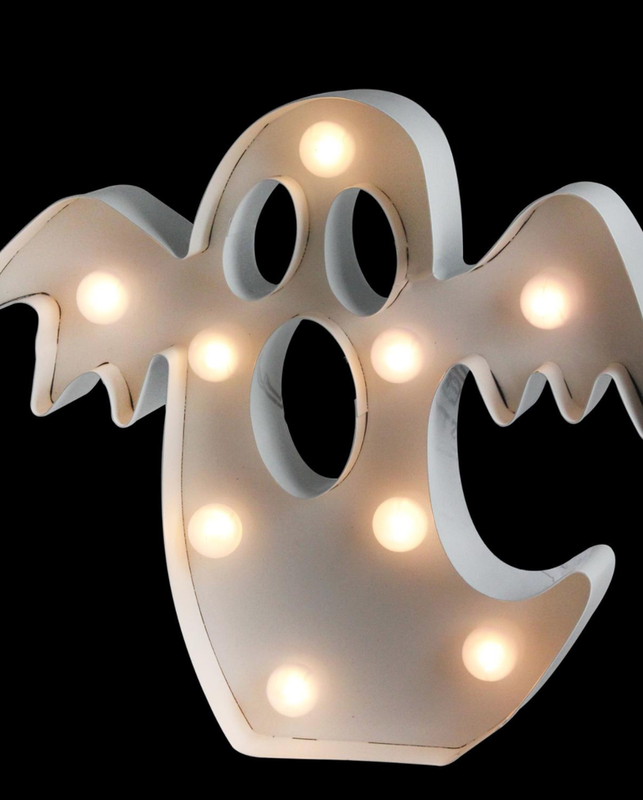 These ghost lights are so cute, Casper's jealous. 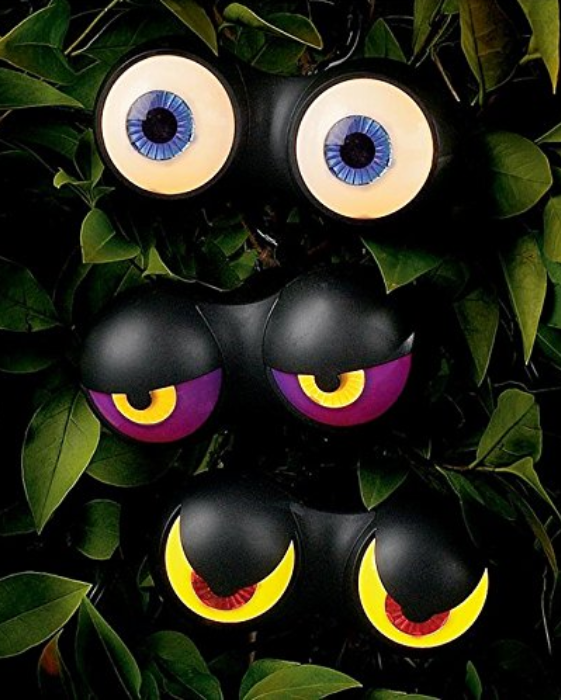 Turn your bushes into a hideaway for the creatures of the night with these light-up flashing eyes. 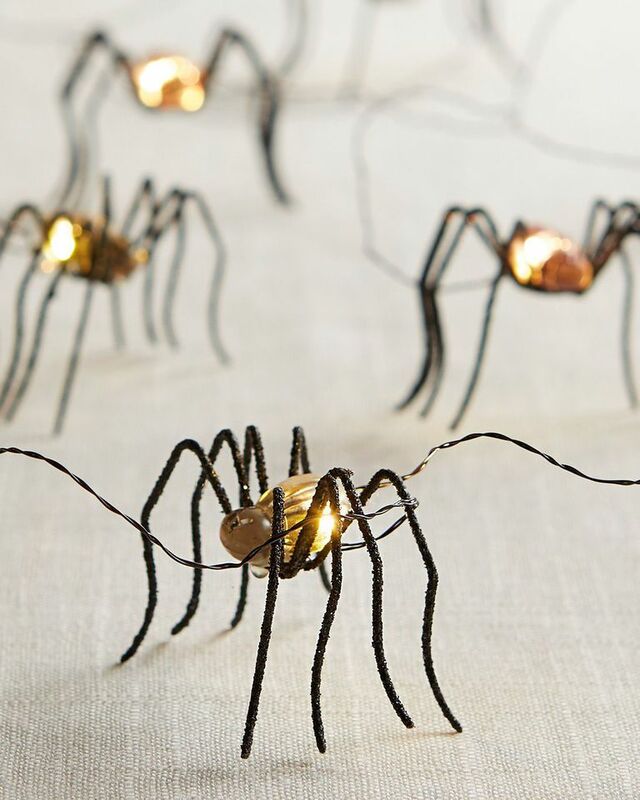 The only spiders you'll ever want in your home. 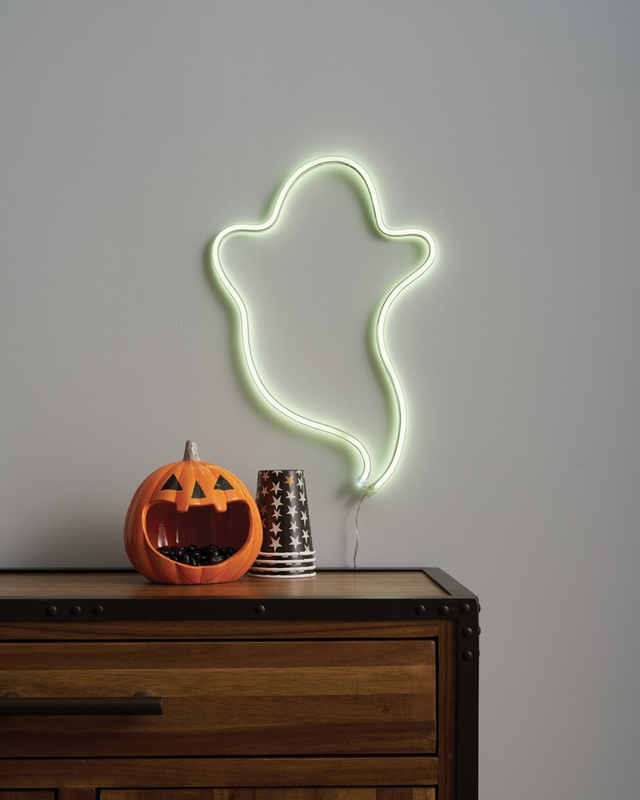 If you love the look of neon lights, this affordable, faux-neon ghost is a must-have. 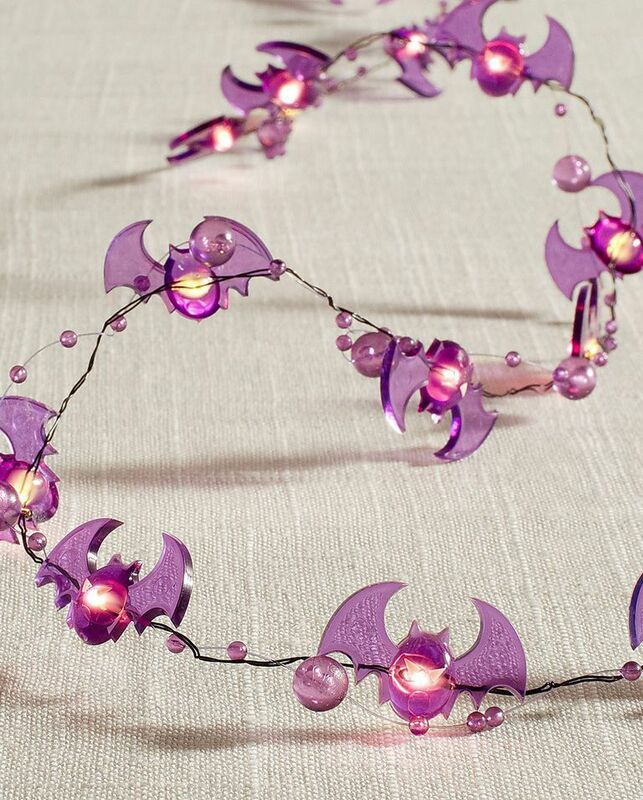 For when it feels like you've gone totally batty. 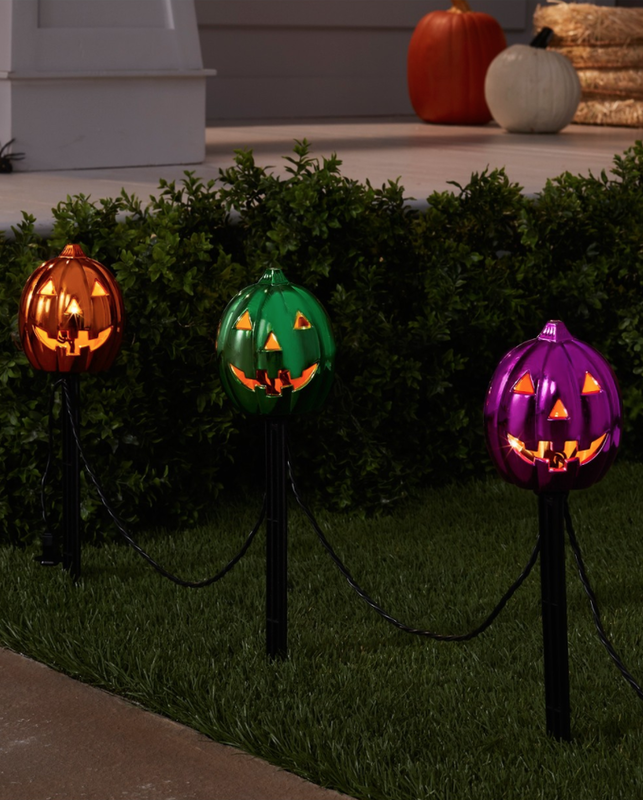 Light the way for trick-or-treaters with these colorful metallic pathway lights. This crosses the line from spooky to into hauntingly adorable. 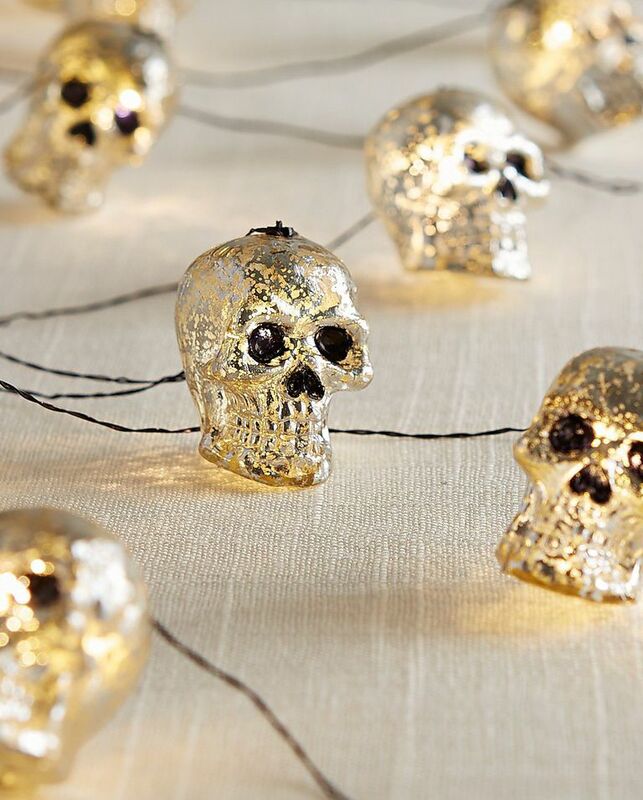 Halloween just isn't the same without a little skeleton decor, and these sparkly skull lights have you covered. 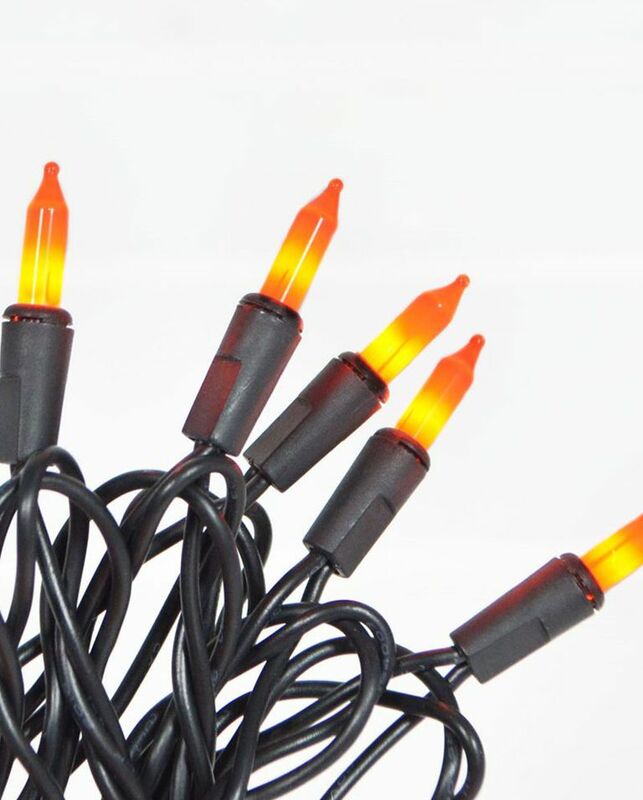 And of course, if you don't have orange string lights, did you even decorate for Halloween?